As Georgia roadways become more and more congested, populated by pedestrians, motorcycles, passenger cars and trucks, and commercial trucks or big rigs, the risk of trucking accidents becomes more and more of an issue. Unfortunately, when an 18-wheeler or semi-truck is involved in a collision with any of these other vehicles, or pedestrians in particular, you can imagine the disastrous consequences. In response to this risk, federal and state authorities have established safety regulations for truck drivers, the most important of which puts a limit on how long drivers can remain on the road without taking a break. Unfortunately, the unreasonable expectations trucking companies have for their employees sometimes results in these regulations being neglected in favor of faster delivery times and longer hours at the wheel. If you or a loved one has suffered injuries caused by a trucking accident in Georgia, contact our GA trucking accident attorneys at Rechtman & Spevak today. Trucking Accidents in Georgia and the U.S.
With over 360,000 trucking companies in the United States, tractor trailers, semi-trucks and 18-wheelers are a common sight on roadways in Georgia and across the U.S. Unfortunately, when passenger cars and commercial trucks are asked to share the road, the results can sometimes be devastating. Negligence, careless driving and distracted driving on the part of commercial truck drivers are only some examples of factors that can contribute to the risk of trucking accidents in Georgia, resulting in the tragic injury and death of Georgia residents every year. According to national statistics, there are about 500,000 trucking accidents in the U.S. each year, approximately 5,000 of which result in fatalities. Georgia alone sees more than 200 fatal trucking accidents and more than 5,200 non-fatal trucking accidents per year. Despite the fact that there are stringent regulations in place to prevent trucking accidents and injuries, statistics suggest that commercial trucking accidents account for one out of every nine collisions on U.S. roadways. 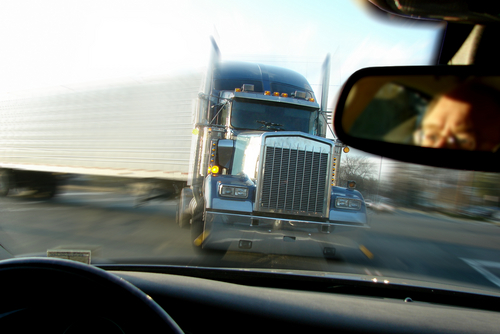 Even more alarming, over 90% of those trucking accidents that involve passenger cars result in the serious injury or death of the car’s occupants. Because trucking accidents are so prevalent and dangerous, the consequences associated with accidents of this kind are often devastating. In addition to serious physical harm, victims of Atlanta trucking accidents may face hardships like exorbitant medical bills, loss of income due to the inability to work, temporary or permanent disability, and other difficulties. Fortunately, trucking accident victims may be entitled to financial compensation for their injuries and associated expenses, and our Marietta trucking accident attorneys can help victims through this sometimes complicated process. Commercial trucking accidents have been on the rise in recent years, as federal and state governments have acknowledged that trucks like 18-wheelers and semi-trucks contribute to a large portion of fatal accidents on Georgia and U.S. roadways, highways and interstates. If you have suffered injuries caused by a trucking accident, or if you lost a loved one in a trucking accident in Georgia, contact our Atlanta trucking accident attorneys at Rechtman & Spevak today. Determining liability in a trucking accident is key and there are multiple parties who can be held liable in a trucking accident. Our experienced trucking accident lawyers can help you do just that, holding that person or party liable for your injuries and medical bills. Too often, victims of car accidents or trucking accidents are taken advantage of during their time of need, often by insurance claims adjusters who are trained to pay out the least possible amount in damages for personal injury claims. With the help of our qualified GA trucking accident lawyers at Rechtman & Spevak, accident victims can pursue fair and timely reimbursement, and protect themselves and their family from further harm. Call 404-355-2688 or fill out our contact form to get started with a free consultation.